These pictures were received from Fritz Luttich of Port Elizabeth. 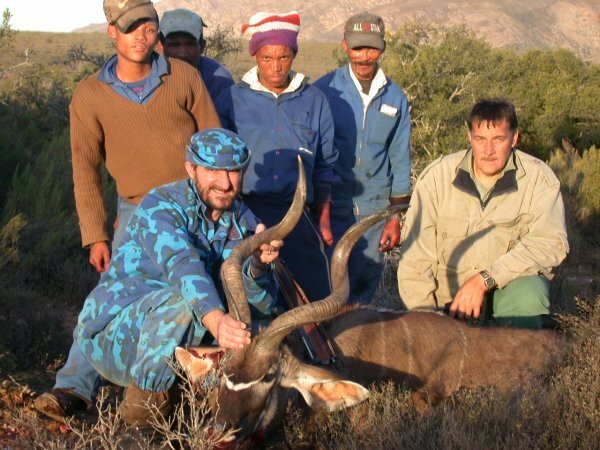 Fritz shot this kudu bull in excess of 300 metres using his 7mm Rem Mag and 130gr HV bullets loaded to 3400 fps. 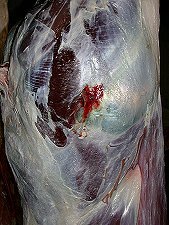 The bullet entered behind the right shoulder raking through the animal at an angle and coming to rest under the skin of the left back leg. 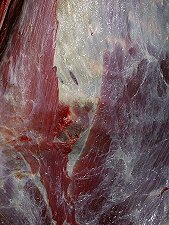 Fritz reports that, of all the bullets he has used so far, he gets the best accuracy with GS Custom HV bullets. The flat trajectory, lack of wind drift and small groups are a confidence builder when a difficult shot has to be taken. 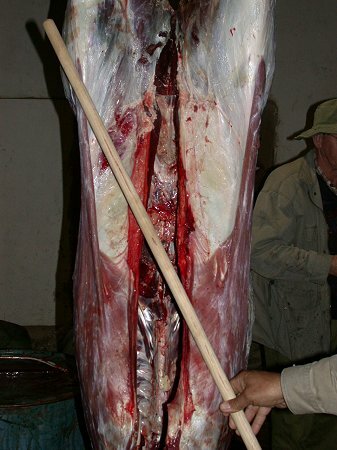 An added bonus is the fact that the meat damage on this animal was approximately 1kg. 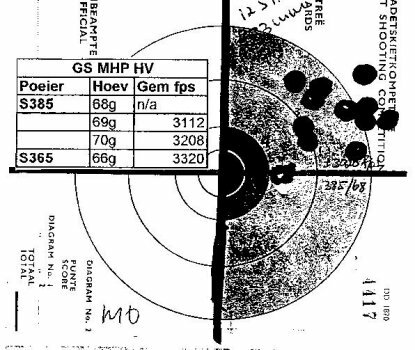 Fritz uses a Sauer 200 and the first 12 shots of his load development went into a little more than 1" despite the fact that speed differed by several hundred fps and two different powders were used. The 130 gr HV bullet above was recovered at 85% weight retention.